Watch the 2014 Harley-Davidson Street 750 First Ride video to see the smallest Dark Custom Harley-Davidson in action. rides are important. Harley-Davidson’s 883 Sportster models may be small and reasonably priced in comparison to the rest of its line-up, but for a less experienced buyer they can still be intimidating. Enter the 2014 Harley-Davidson Street 750, an all-new HD that is aimed at attracting and holding onto an entirely new group of riders. A last-minute invite to ride a pre-production Street 750 for photos and a quick two-hour unsupervised ride around Orange County gave us the chance to find out if this addition to the Harley line will be a winner. While grabbing a riding impression, photos and video, MotoUSA also pushed the clock to the last second by also squeezing in a dyno test to get the first real world horsepower and torque numbers. It was a hectic couple of hours, but we learned plenty. Looking at the Street 750, it is unmistakably a Harley-Davidson thanks to the Dark Custom treatment. The fork gators, round headlight, and mag wheels are familiar and look good. Moving further back towards the tank and things still look classic and tough; even the radiator and shroud doesn’t seem out of place. Where it gets a little less visually appealing is when you size it up from the rear. Whereas the front three-quarters of the bike is classically styled, the rear fender and taillight are modern and boxy, missing the mark visually. Overall, however, it is a good-looking bike, and it has a presence worthy of the HD badge on the tank. Look closer at the details and you begin to see how the Street 750 can be offered for around $7500 (no official MSRP has been set as of yet.) The levers are skinny and feel less solid than the units we are accustomed to on other HD models. While the paint is good on body parts, the seam down the middle of the tank looks unrefined. Some of the fastening hardware and brackets are rough and less than pretty. The switchgear however is very clean and easy to use, although the turn signals are not self-canceling. Sitting on the Street 750 reveals a compact rider’s area. The 27.9-inch high seat and close footpegs felt cramped for my 32-inch inseam. This brings your knees above the top of the flat, low tank giving a feeling that you are atop the Street rather than in it. The reach to the bars is easy and comfortable but also close. 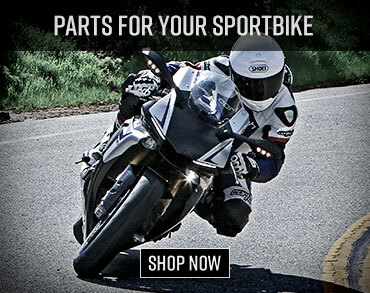 Simply stated, the Street 750 looks big but rides small. Taller riders will need to look elsewhere. On the road the small rider’s triangle gives you plenty of leverage to move the 750 around. It feels much lighter in motion than the 489-pound curb weight would suggest. Turn in effort is very light, and changing direction happens in a snap. I was expecting the steering to be slightly sluggish with a skinny 110/80R17 front tire and flat profiled 140/75R15 rear, but it turns wonderfully. The handling is absolutely the highlight of the Street. Corning clearance is excellent thanks to the tall footpegs. Suspension is slightly taut but not harsh or springy, handling the cracked pavement of Old Town Orange with a controlled, comfortable ride. Spring rates front to rear are spot on for balanced handling, even though the rear-end does sit high when static. 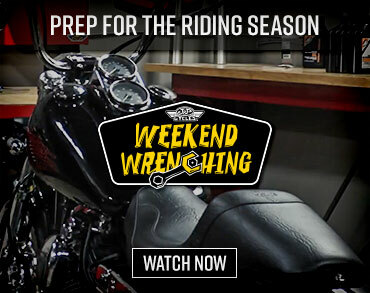 Watch the 2014 Harley-Davidson Street 750 Dyno Video to find out how the Street 750 performed. actually better from the foot-pedal and must be used to have any chance of stopping quickly. Beginners definitely won’t have to worry about tucking the skinny front tire on the brakes. While the brakes are a disappointment, the 749cc liquid-cooled Revolution X 60-degree V-Twin is not. Engine response is crisp and acceleration is much better than I expected. Grabbing a handful of the right grip brings forth a torquey bottom-end that continues into the mid-range. On top, the power does flatten out just before the rev-limiter kicks in. During our ride we stopped off at Two Brothers Racing to get some dyno numbers. The Street 750 produced a respectable 52.89 horsepower at 7900 rpm and 39.36 lb-ft of torque at 6400 rpm, however, the torque curve was nearly flat from all the way through the rev range. It is a very nice powerplant for a smaller cruiser without a doubt. The only part missing is the rumble that is Harley-Davidson. The stock two-into-one exhaust note is subdued and lacks any sort of nastiness that you would expect from a blacked out HD. The all-new Harley-Davidson Street 750 is powered by the Revolution X, a 749cc 60-degree V-Twin. It turned the dyno at Two Brothers Racing up to a respectable 52.9 horsepower and 39.4 lb-ft of torque. Shifts are quiet and smooth as you row through the Street’s six-speed transmission, and the gear ratios are perfectly spaced. The clutch pull is light, but the engagement point is near the end of the lever travel, which could be an issue for smaller hands. After our short stint on the 2014 Harley-Davidson Street 750, I had to look at this machine from a new or young rider’s perspective to appreciate it. 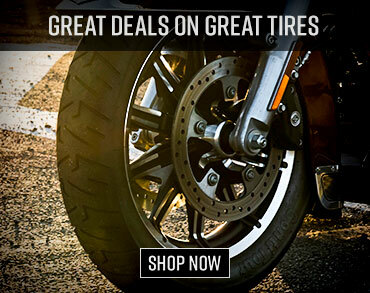 As a seasoned rider it fails to satisfy, but for someone looking to get into a cruiser, and most importantly a Harley, on the cheap the Street 750 is a very attractive motorcycle. It looks good for the most part, handles excellent and has a great engine. The Street 750 is a good first Harley-Davidson that will get many entry-level riders on the road and vault them to larger rides in the line as they gain experience.